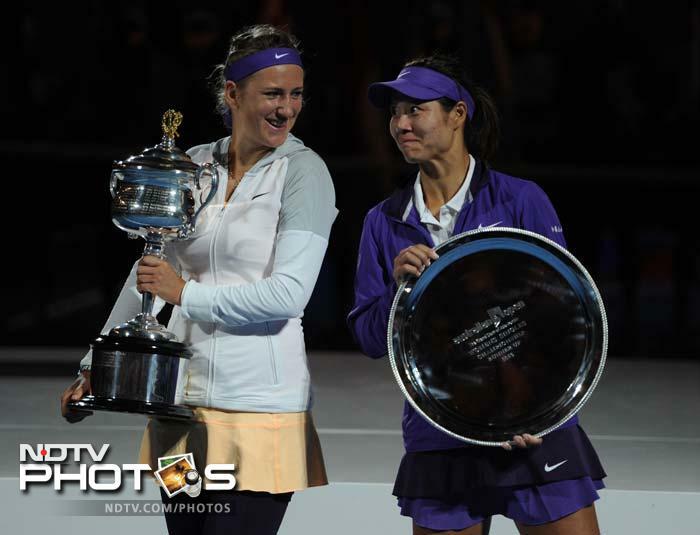 Victoria Azarenka overcome an often hostile crowd to win back-to-back Australian Open titles, beating Li Na 4-6, 6-4, 6-3 in a dramatic final on Saturday that contained a break for fireworks, two medical timeouts and a nasty fall to the court by Li. China's Li Na won the opening set of the Australian Open women's final against Belarus top seed Victoria Azarenka on Saturday. Li broke Azarenka's serve four times and dropped her serve three times to go one up in the best of three set final, 6-4. 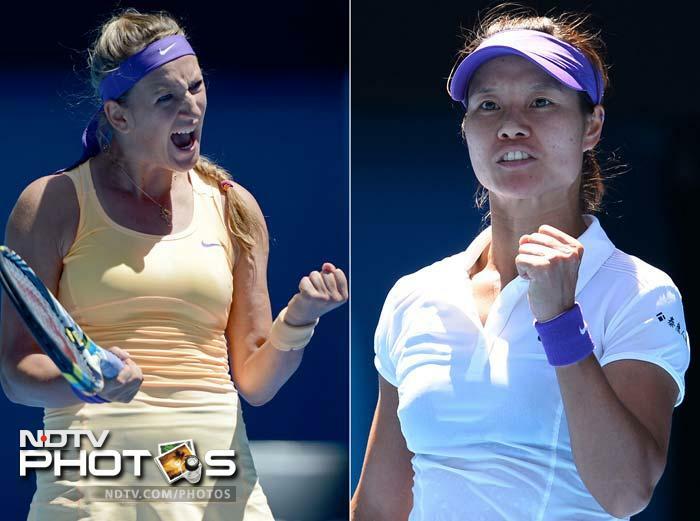 Belarus top seed Victoria Azarenka won the second set 6-4 to level the Australian Open women's final against China's sixth seed Li Na on Saturday. Azarenka broke Li's service three times and dropped her serve twice to take the final into a third set decider. The Chinese star first tumbled to the court after twisting her left ankle, and had it taped after falling in the fifth game of the second set. On the first point after a 10-minute pause in the third set while fireworks boomed overhead from nearby Australia Day celebrations, Li fell over again and slammed the back of her head into the court. Li said she went "totally black" for two seconds after her head hit the court, and when a medical official asked her to follow her finger "I started laughing, thinking 'This is a tennis court, not like a hospital." Azarenka and Li had met twice before in Grand Slam tournaments, with Li winning both times — in the fourth round of the 2011 Australian Open and quarterfinals at the French Open. Li lost the 2011 Australian Open final to Kim Clijsters but won her first Grand Slam title at Roland Garros a few months later, beating Francesca Schiavone. 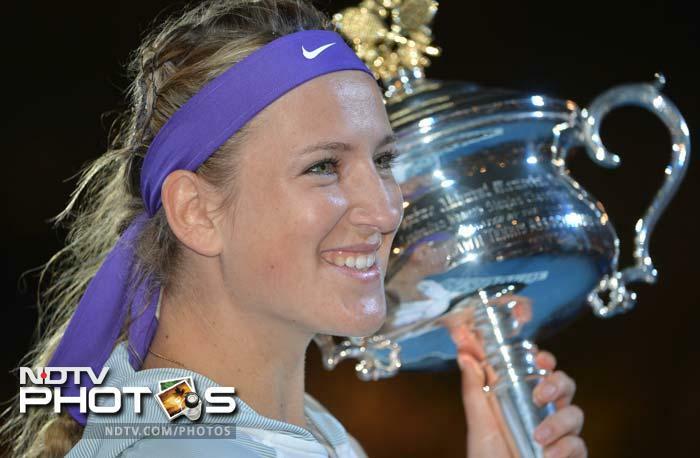 "I will always keep very special memories of this court and it will be in my heart forever," Azarenka said after her victory, pausing several times to find the right words. 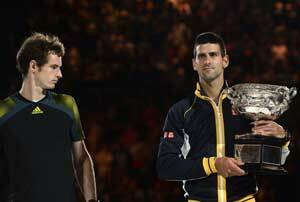 "Of course, I (almost) forgot to say congratulations to Li Na, she's had a terrific start to the year ... hope to see you in many, many more finals." By the end of the match, Victoria appeared to have won some of the fans back. 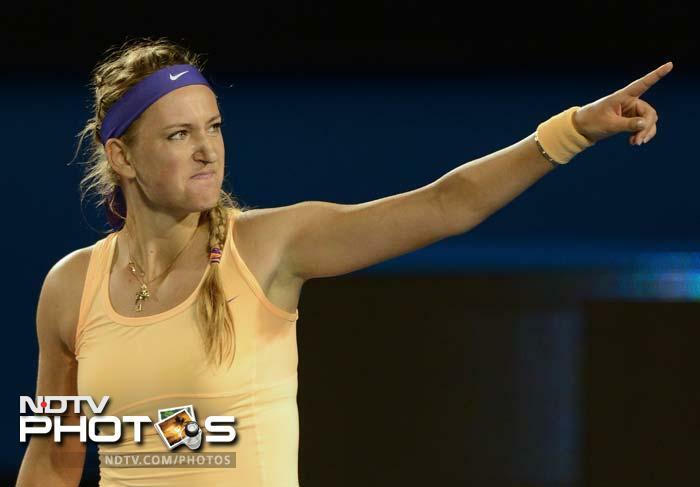 Azarenka's friend, rapper Redfoo, yelled down to her from the player box "You deserve it," and she later blew kisses to the crowd. Someone else in the crowd shouted "Victoria, we love you." On a crisp Saturday night, Azarenka won the coin toss and elected to receive, a ploy that seemed to work when a nervous Li was broken to start the match. The 2-hour, 40-minute match featured 16 service breaks, with Li losing her service nine times. 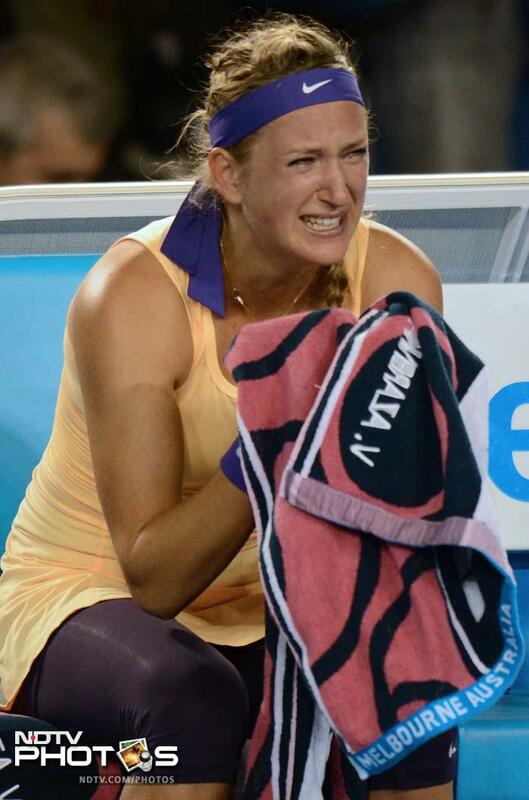 Azarenka, who broke down in tears and sobbed into her towel when the match ended, claimed her second major title and retained the No. 1 ranking.